Discussion in 'Forum Introductions (Who are you!?)' started by BorisV, Nov 6, 2018.
so, here's my introduction post ! i'm post my military service, finished it half a year ago. for a long time , i had this feeling that our life is not just paying rent and working 9-5, even back when i was finishing school. after finishing my service at the army , i told to myself that i need to take action and get away from the crowd. as for now the main goal for people that finishing their service is to go and get a degree (which is not bad at all, but still for many of them it's a waste of time) that they will almost surely won't use in the future, because many just go to learn because they have to and not because they want to . i went for a 1 and a half month trip in europe to clear up my mind, learn some new things and meet people from around the world. i think that the trip was one of the best things that happend to me so far, i met many people, came to some important conclusions for myself and had really great time. 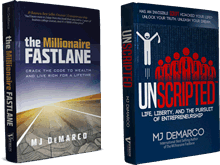 during the trip i stumbled upon "The millionaire Fastlane" and "Unscripted" from amazon recommendations, the books reviews and descriptions made my mind to buy these book and read them, and oh boy i am so glad i did it, so many things i thought about before were described in this book, and made my mind clear about so many things. i have talked to some business people , and all of them proudly say the same things that was described in these books, although they didn't read it. many of my life aspects changed over the past year, like how to better organize my time,communication with people, seeing the not so obvious things that other don't. and i hope to learn so much more in the future. 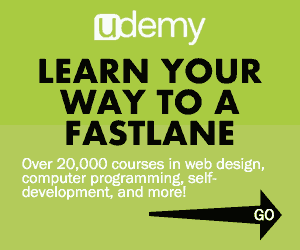 i am currently 21 y/o, starting my journey in the fastlane! have some ideas that i could execute , and would love to talk to like minded people here (there are not that many where i come from) and maybe even find a mentor . have a lot of background knowledge (had to work since i was 13 y/o, my family had a rough time ... ) , worked in a lot of different work like management , bicycle repairing, and almost everything that a teenage have an option to work in . finished school with automotive technician degree (which i am not sure to use in the future) . Thank you for your time , and have a nice day ! lowtek, MJ DeMarco and Bhanu like this. Welcome aboard Boris .I wish all the best for your future . You are just 21 ,you are so so lucky to have found this forum . Tons of folks here are "doing it" -- your mentorship is available 24/7!